Ammonium hydroxide is a strong-smelling, colorless liquid that commonly goes by the name ammonia. It is often found diluted in several household cleaning products. While ammonia is toxic to humans, it does make an excellent cleaning product. Be very careful and never mix it with bleach. Together the two cleaning agents make an incredibly poisonous gas. When used correctly, ammonia has many uses both in and outside the home. 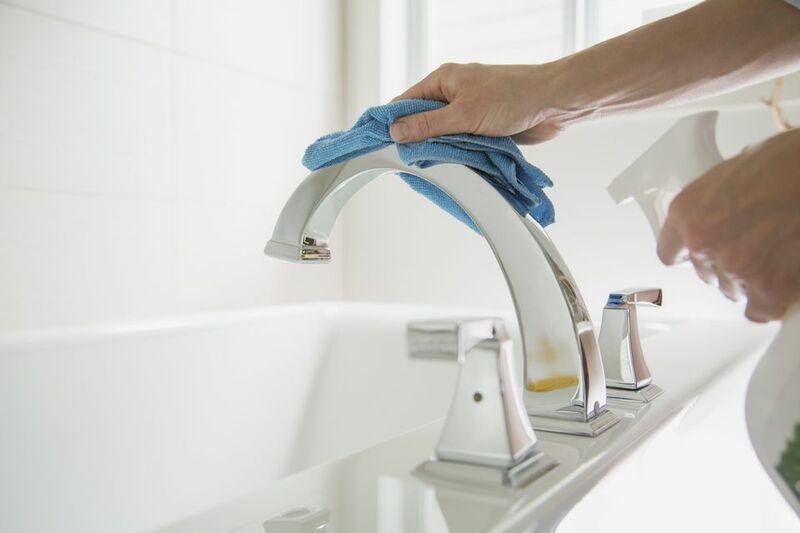 Ammonium hydroxide can be found in bathroom, floor, glass, carpet, metal, upholstery, and all-purpose cleaners as well as starches, disinfectants, and stain treaters. Most household ammonia contains 5-10% ammonium hydroxide. If you are unsure if your cleaner contains it, just look on the label of your product. In addition to ammonia being used as a food additive and in the manufacturing of some products, such as pharmaceuticals, it can be found in a variety of products spanning several industries. Again, if you are curious, check product labels to see if ammonia is listed. Home maintenance products: crack and seam sealers, joint compounds, finish removers, and some specialty cleaners. When a chemical is used in pharmaceutical preparations, personal care products, or as a food additive, it is monitored by the U.S. Food and Drug Administration (FDA). For cleaning and industrial uses, it is supervised by the Environmental Protection Agency (EPA). Each organization has its own regulations and safety standards that companies and manufacturers must adhere to. Ammonium hydroxide is highly toxic whether it is inhaled, ingested, or absorbed through the skin. It is also a highly corrosive chemical and a skin, eye, and respiratory irritant. Direct contact with the eyes can cause blindness if not washed away immediately within the first 10 seconds. The vapors are extremely irritating to the eyes. When skin contact occurs, it can cause burns and blisters. Ammonia is also toxic when ingested and extremely corrosive to tissue. Inhalation can cause a cough, bronchial spasms, and even lung damage. Extreme caution and care must be exercised when using it. Ammonium hydroxide is considered a hazardous substance according to the Federal Water Pollution Control Act and the Clean Water Act Amendments of 1977 and 1978. As noted by the Environmental Working Group, it is very toxic to aquatic life. When it comes to green cleaning, great options exist when you want to swap out ammonia for a safer and more eco-friendly ingredient. Instead of ammonia, try vinegar. For example, as an alternative to ammonia-based window cleaners, try this DIY all-purpose vinegar cleaner. For bathroom cleaning, use vinegar or hydrogen peroxide instead of ammonia to effectively disinfect surfaces. To clean your carpets and floors, check out these safe earth friendly floor and carpet cleaning products, instead of reaching for the ammonia.